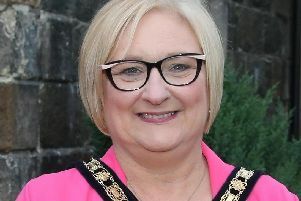 The Irish border backstop is not a trap to ensnare the United Kingdom or Northern Ireland, Ireland’s deputy premier has said. Simon Coveney also said the so-called insurance mechanism was not designed to bring about constitutional change. Mr Coveney said: “We don’t want the backstop for it to be some kind of trap in which to ensnare and hold the UK or Northern Ireland. Mr Coveney made the comments during a speech at Queen’s University in Belfast on the second anniversary of the collapse of powersharing in Northern Ireland. The foreign affairs minister said the Irish government did not want to see the backstop invoked at all. “The backstop is there to ensure that in no circumstances can there be a hard border - something that nobody wants,” he said. “We have a collective responsibility to avoid that outcome. If ratified, Mr Coveney said the Withdrawal Agreement would pave the way for “positive” and “ambitious” discussions on the future relationship. He added that the Irish government shared the UK’s desire for a deep and comprehensive future relationship agreement that avoids a hard border to be decided by the end of 2020. The backstop, enacted if a wider UK-EU trade deal fails to materialise, would see Northern Ireland continue to adhere to some EU rules. It is designed to maintain a free-flowing Irish border regardless of the outworking of Brexit, but the DUP and other Brexiteers claimed it would undermine the constitutional integrity of the UK by creating barriers between Northern Ireland and Great Britain. Mr Coveney said it was very important that the people of Northern Ireland should have a voice through their elected representatives during the Brexit negotiations. “This is exactly one of the reasons we need the Assembly and Executive up and running again - and to be working well,” he said. “We shouldn’t underestimate the impact that Northern Ireland’s leaders speaking with one voice on key concerns could have. Speaking on BBC Radio Ulster this morning, Mr Coveney echoed comments made by Irish premier Leo Varadkar yesterday that a Stormont Assembly should have a strong consultative role in relation to the backstop mechanism, but insisted that it must not have the power to veto its implementation.